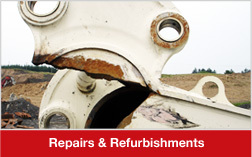 A J Johnson was established in 1982 after 18 years of experience of working in construction and on opencast sites. 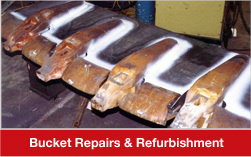 Since then we have completed many different types of welding repairs and modifications. We specialise in repairing and modifying all types of plant, large and small, using welding and fabrication and also manufacture components and carry out machining to suit customers requirements. 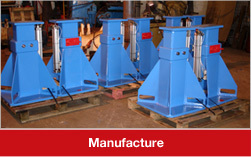 We also supply wear kits for all types of machines, dozers, dump trucks and buckets using quality materials. Every type of repair work is considered. We carry out anything from replacing steel doors, to repairs to broken booms or repairs to tractor attachments to refurbishment of extractor track pabs - the list is endless! 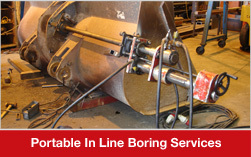 We offer an inline boring facility that can be carried out in our workshop or onsite. We also travel abroad to carry out repairs and help train the local work force, assist in the building of trucks worldwide, and manufacture goods that meet customer requirements.